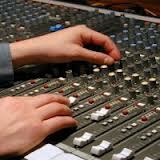 Mixing a song can be fun, it can also be a nightmare if you feel it does not sound right. Here are some basic tips to mixing a better song. If you feel like nothing sounds good, give your ears a break. Sometimes you just need to clear your head and get away from the music. Come back to it later on or the next day with a fresh pair of ears. Do not be afraid to use effects. They can really add depth to a song. A little reverb on an instrument never hurt anyone. Also, use it a little on vocals. Just do not over do it. Use your pots and pans. This will give your song an amazing effect. Try putting an over dub vocal in the left ear, or try putting a cymbal to the right. It will sound amazing in headphones. Use your monitors and headphones to mix. Listen to the mix in both, you can get a good sense of how the mix sounds in general. Mix at a low volume at first, then turn it up a bit and tweak it. Make sure the bass in sitting right at a loud volume, make sure the vocals sound good etc. Burn a few different versions of your mix and listen to them in different situations. Listen to it in your car, your home stereo, your computer speakers and more. Take notes and go back and tweak if needed. This will help every time. If the mix is not sounding right, take all the faders down to zero and slowly bring them up one by one and set them at the volume that sounds best. Keep in mind, when you add effects, it will generally raise the volume on that particular track. You may need to adjust. Make sure you can hear the vocals in the mix. Listen at a low volume, then listen at a high volume, make sure they are clear and perfectly set at both volumes. As always, use your ears and have fun.